The Beauty of Life: How Do You Feel About Acupuncture? Before I started acupuncture, I totally thought it was a crock. I never imagined how much it could help me. Before you judge, here's my story. I suffer from chronic migraines. I get one every single day -- oftentimes manageable, but sometimes so painful and terrible and filled with nausea that all I can do is lie underneath the covers in a dark room and pray for it to go away. In the past, I could control my migraines based on how much I slept, what I ate, what time of the month it was -- all the normal factors. But in the past few years, it's become such a problem that there's just nothing I can do. An MRI a couple years ago came back normal, no amount of sleep or protein helps, not even migraine medication does the trick. Once in awhile, Bayer Aspirin alleviates the pain slightly -- but only sometimes, and only if it's not completely severe. Thus was the burden I bore when I decided to try acupuncture for the first time. About a year and a half ago, I just didn't know where else to turn -- and so I turned to Aimee Raupp, coming highly credentialed and even recommended by a fellow blogger. I won't lie, I was totally nervous before my first session -- but Aimee put me at ease by showing me just how flimsy the needles are and even sticking herself with one to point out what it would look like in me. After one session, I was completely hooked -- I could literally feel the pain whooshing out of my body as the needles in my head, arms and legs worked their magic. I went back for one or two sessions a week, always with fairly intense pain, and left each one with nothing. Not only that -- the pain would be alleviated for days on end. I could actually live a normal life! But then reality took its toll, and I found the sessions were too expensive to continue. ($90 per session was a bit more than I could safely indulge.) Unfortunately I stopped going, and of course the pain returned worse than ever. After much research, I recently discovered that ACUPUNCTURE IS COVERED BY MY INSURANCE. Color me HAPPY! I immediately booked an appointment with a new acupuncturist. My first session with Iris Netzer was yesterday. After a 20-minute consultation, I laid on a bed in a darkened room with bright purple sheets and let the magic happen. I loved Iris's approach to acupuncture -- rather than placing needles into my head, she placed them in my neck, arms, legs and even my stomach. A quick 20-minute nap later (believe me, it's fairly impossible not to fall asleep on the acupuncture table), I flipped over and Iris placed about 6 needles at the nape of my neck for another 15 minutes. When I left Iris's office, my pain wasn't completely gone -- but it was alleviated so much that I felt like a normal person again. Today, my migraine is definitely not gone, but I'd classify it as a 4 on a scale of 1-10 -- SO much better than I normally could ask for. I'm now totally hooked again, and the fact that it's taken by my insurance? Makes it totally worth it. I'm so glad that acupuncture has helped you. 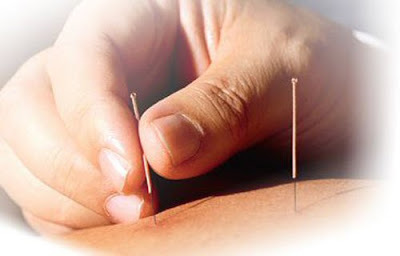 Most people don't have insurance coverage for acupuncture, but it doesn't have to be expensive. I had the same problem for years. Someone recommended a chiropractor which has saved me so much grief. 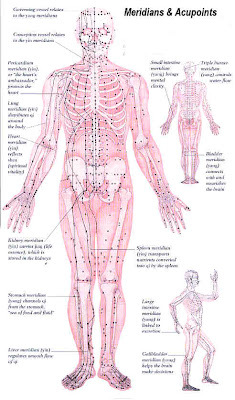 I have heard some people that feel acupuncture is okay other's don't. I feel that mystic and can not be proven scientifically to be beneficial.